You will have couple of partners from different cities in a country and able to reach every corner of the country with your fellow FM partners' support, it will increase your operational capability and provide you competitive prices. You will be protected against hundreds in the market and maximize your benefits from annual meeting regarding FM meeting and payment protection focused strategy. Your company will get credit term from your partners through INO Global Protection, namely payment protection program and MOREOVER, your company will be certified by "Freight Midpoint" which shows your accreditation to global freight forwarding, logistics and shipping industry. There is no other organization who provides the lowest membership fee with the highest level of service quality as we do. 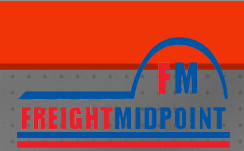 Freight Midpoint provides various services without extra cost and hidden fees. We think our members' budget and maximize their benefits. One of the goals of Freight Midpoint is to increase members operational ability and capability from all over the world. FM accepts six members per city and it makes members hand strong to reach every corner of a country. Freight Midpoint awares that a company cannot be the best and offer the cheapest prices in all the time in every shipping modes such as air, sea, land and rail. However, FM has various types of members regarding size and capabilities in a country. Members can easily decide which partner is the most suitable one to cooperate based on nature of the shipment and business. Freight Midpoint is one stop global agent network solution for freight forwarders and logistics companies, so it is the compulsory rule to catch the leading position and sustain the group success. Agent activities are evaluated by score cards or activity reports. The agents ONLY wait for shipments and DON'T support others are REMOVED on yearly basis. Freight Midpoint is owned, published and managed by INO Networks Group who is one of the leading business and agent network organization in the industry. There are three global organizations under INO Networks Group and Freight Midpoint is one of them. FM team has both academic and practical background in freight forwarding and logistics field so member agents get support in professional approach. Freight Midpoint Team is NOT silent and NOT just wait for membership fees, it guides member agents to increase their communication and sharings within the group. Moreover, FM keeps member agents informed about the industry, other members' success stories and developments. Members are able to list their company profile and contact details online. Our high-tech infrastructure makes members more reachable and visible in the industry in internet's limitless world. Members are in continuous promoting process for their companies through Freight Midpoint. Members can get online rate and general inquiries via Freight Midpoint website from both members and non-members. It increases the opportunity to increase shipment volume. FM membership certificate and logo indicates that member agent is globally accredited to the freight forwarding, logistics and shipping industry. These are proofs of worldwide operational ability and capability. These tools can be used in marketing and promotion activities in both INTERNATIONAL and DOMESTIC areas. Competition is on higher side and companies are doing their best to put their names under spotlights in the industry. It is difficult for agents to join all events/fairs/exhibitions, however Freight Midpoint participates worldwide reputed events regularly to promote its members. Although member agents are not there, they represented by Freight Midpoint or INO Networks Group management. MORE AND MORE FEATURES ARE AVAILABLE ON MEMBERS ONLY AREA "EXCLUSIVELY FOR MEMBERS"